The new Galleria department store is located in the Gwanggyo, a developing urban district close to Seoul. 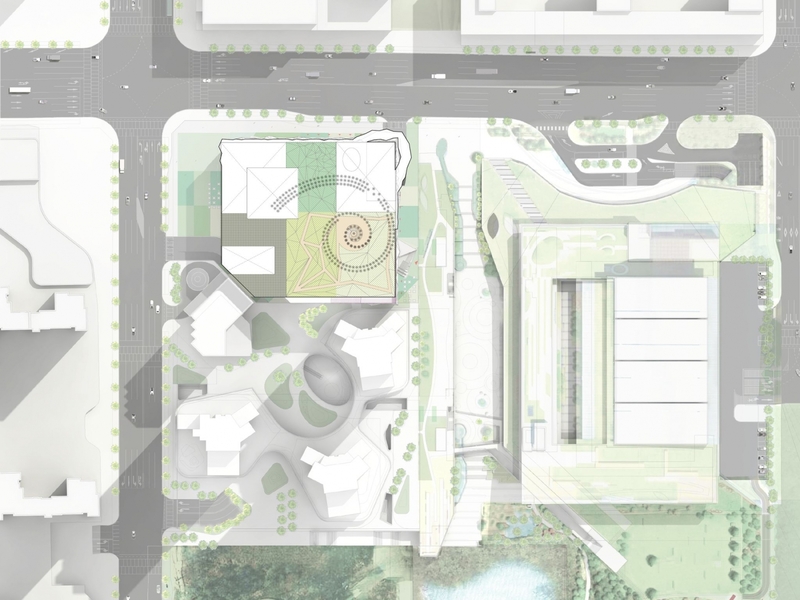 The site is at an intersection between nature and city, situated between the Suwon Gwanggyo Lake Park with natural hills, forest and trekking routes and colorless and anonymous buildings. 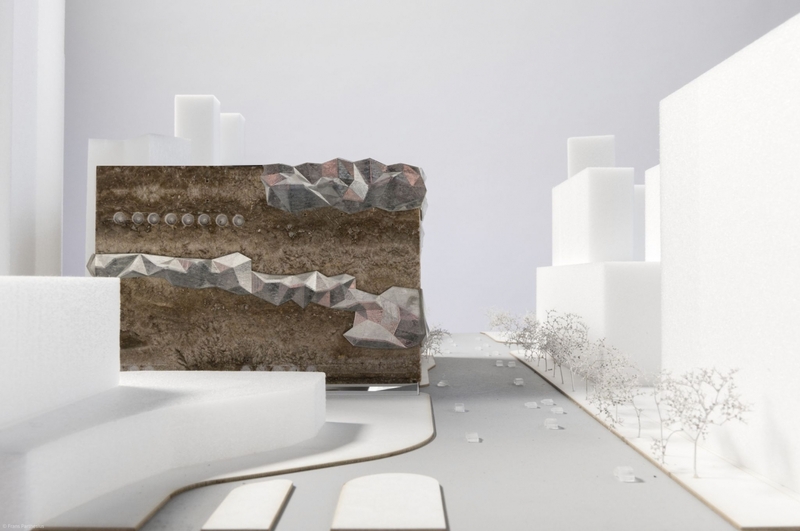 Drawing upon the locations rural scenery, the building evokes a sculpted stone, forming a visual anchor for the new downtown of Gwanggyo. 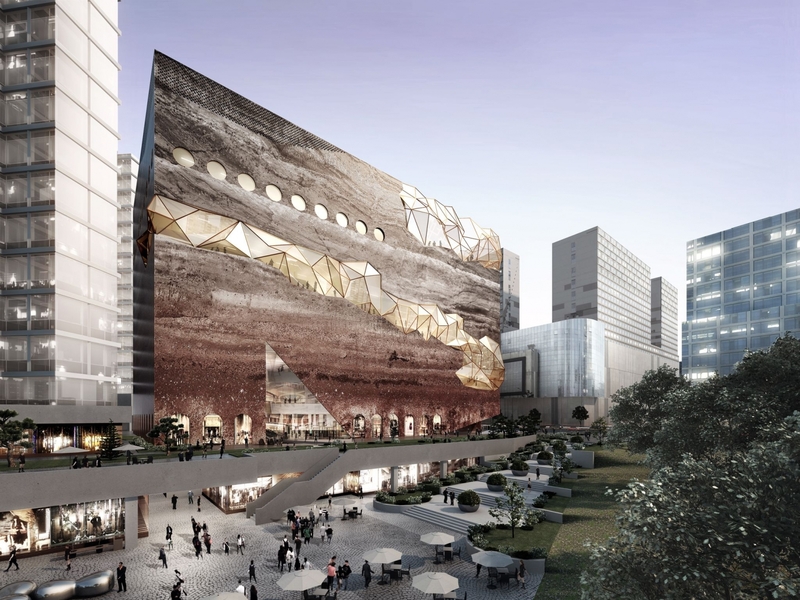 At the forefront of the premium retail market in Korea since the nineties, the Gwanggyo Galleria continues Hanwha Galleria’s forward approach to retail, introducing public program throughout all levels of the department store, with retail facilities combined with leisure and culture.